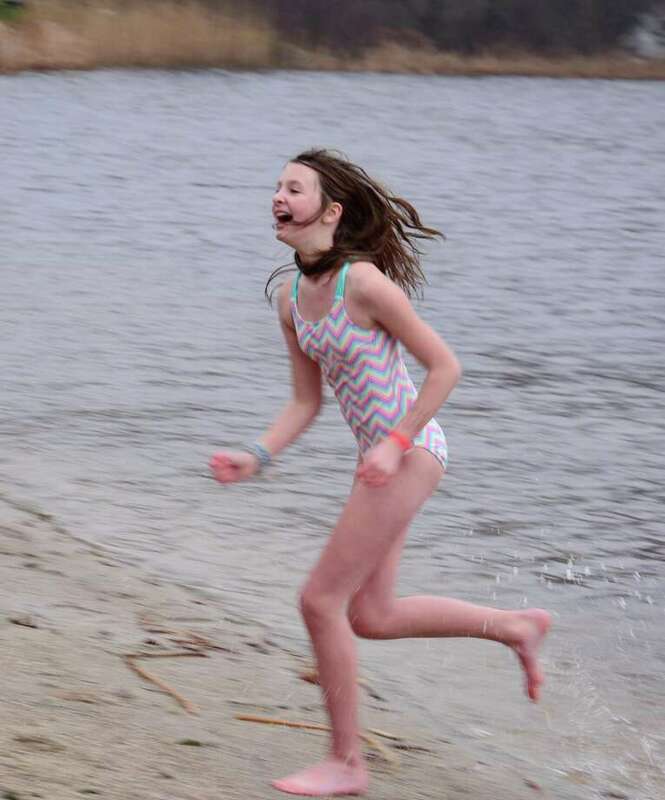 Penny Morrissey, 10, of New Milford, runs out of the water after the plunge during Washington Montessori School’s seventh annual Polar Plunge fundraiser on Sunday at Lake Waramaug State Park in New Preston. The school’s program has been providing middle school education to six graduates from the Children’s Community School in Waterbury each year since 2005. Penny Morrissey, 10, of New Milford, runs out of the water after the plunge during Washington Montessori School’s seventh annual Polar Plunge fundraiser on Sunday at Lake Waramaug State Park in New Preston. Washington Montessori School held its seventh annual Polar Plunge for Partnership on Sunday at Lake Waramaug State Park Beach. A fundraiser for the Washington Montessori School Community Partnership Program, the Polar Plunge for Partnership is a fun, family-friendly event open to the public. The school’s program provides middle school education to six graduates from the Children’s Community School in Waterbury each year. It has been in place since 2005.